Why should you hire out for lawn maintenance in Vancouver WA? The weather in the Northwest is ideal for growing. Bushes, trees, grass, and weeds all grow very quickly here. That can make maintaining a yard a never-ending chore. You want a great looking yard, but spending your weekends weeding, mowing the lawn, and trimming back brush isn’t how you want to spend it. 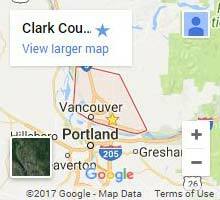 With a call to Clark County Landscaping, you won’t have to. Our landscapers provide complete lawn maintenance that scales for your yard, needs, and the changing seasons. What are the benefits of maintaining your lawn? It’s easy to think of your lawn as a natural eco-system and ignore problem areas. The only problem is that doesn’t make them go away. Weeds invade and strangle out more desirable plants. Refuse piles can harbor pests and kill the grass underneath it. Without regular lawn care, these can all spread to vegetable and flower gardens. Maintenance by professional landscapers means every area is maintained to the highest degree. Keep edging clean and straight. Maintain shrub and tree health with trimming that helps growth and stability. Get weed control using commercial grade products that are safe for grass and tough on weeds. We can fertilize and aerate your lawn for healthy, lush grass. Choose licensed and insured landscaping experts. We can handle lawns of any size. With a team of professionals that are born and raised in the Northwest, we know how to correctly maintain your lawn year-round. We also work with you to help you accomplish your landscaping goals. Are you interested in re-seeding or a lawn designed around a specific use? We can help. Are you having trouble with grass growth in shaded areas or areas that receive too much sunlight? We can help with that too. Worried about your lawn drying out during a hot summer spell? Give us a call. Whatever your lawn maintenance need in Vancouver, WA is, we can integrate them into a complete maintenance plan. Scheduling is based on your needs, and we can always scale service. Get the lawn you want. Call or contact us today.